ASERT recently discovered Lojack agents containing malicious C2s. These hijacked agents pointed to suspected Fancy Bear (a.k.a. 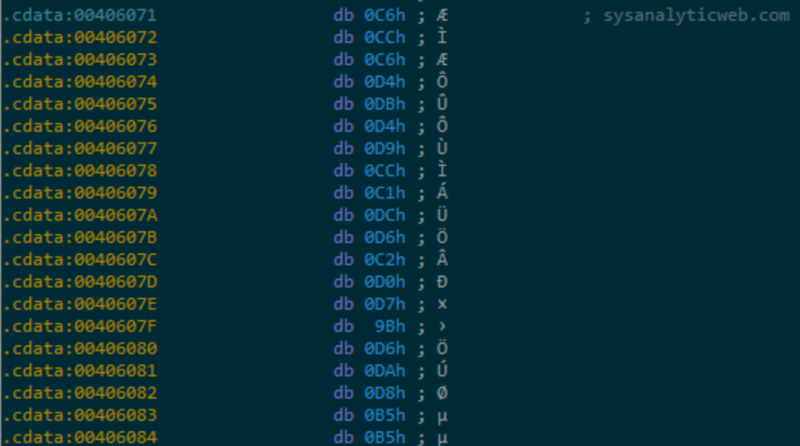 APT28, Pawn Storm) domains. The InfoSec community and the U.S. government have both attributed Fancy Bear activity to Russian espionage activity. Fancy Bear actors typically choose geopolitical targets, such as governments and international organizations. They also target industries that do business with such organizations, such as defense contractors. Lojack, formally known as Computrace, is a legitimate laptop recovery solution used by a number of companies to protect their assets should they be stolen. Lojack makes an excellent double-agent due to appearing as legit software while natively allowing remote code execution. Although the initial intrusion vector for this activity remains unknown, Fancy Bear often utilizes phishing email to deliver payloads. NOTE: Arbor APS enterprise security products detect and block on all activity noted in this report. ASERT researchers identified Lojack agents containing command and control (C2) domains likely associated with Fancy Bear operations. Proof of concept in using Lojack as a backdoor or intrusion vector date back to 2014. Its continued use suggest attackers could have used it in long-running operations. Initially, the Lojack agents containing rogue C2 had low Anti-Virus (AV) detection which increased the probability of infection and subsequent successful C2 communication. The distribution mechanism for the malicious Lojack samples remains unknown. However, Fancy Bear commonly uses phishing to deliver malware payloads as seen with Sedupload in late 2017. May 3, 2018 – After the disclosure of the malicious Lojack binaries, many Anti-Virus vendors have been quick to respond in properly marking samples as "malware" and "DoubleAgent", rather than "Riskware" or "unsafe" (Figure 2). "The analysis of the samples provided by Arbor shows all were based on an illicitly modified old version of the LoJack agent from 2008 and no customers or partners have been impacted. For customers who wish to confirm no legacy agents are present in their environment, we have published an advisory with steps to verify all installed agents are legitimate copies of the LoJack product. Additional details are provided at https://www.absolute.com/en/resources/faq/absolute-response-to-arbor-lo…." Prior reports have misidentified LoJack instead of Absolute LoJack for Laptops, also known as Computrace. LoJack for Laptops and Computrace are products of Absolute, not LoJack or CalAmp. Absolute Software, the creator of Lojack, says on its website (https://www.absolutelojack.com/) that the agent can locate and lock a device remotely. Additionally, it can delete files, making it an effective laptop theft recovery and data wiping platform. Lojack can survive hard drive replacements and operating system (OS) re-imaging. The agent achieves this persistence through a modular design as noted by Vitaliy Kamlyuk, Sergey Belov, and Anibal Sacco in a presentation at Blackhat, 2014 (Figure 1): Figure 1: Lojack persistence mechanism (Paraphrased from https://www.blackhat.com/docs/us-14/materials/us-14-Kamluk-Computrace-B…). The aforementioned researchers suggest the binary modification of the "small agent" is trivial. The Lojack agent protects the hardcoded C2 URL using a single byte XOR key; however, according to researchers it blindly trusts the configuration content. Once an attacker properly modifies this value then the double-agent is ready to go. This is not the only aspect that makes Lojack an appealing target. Attackers are also concerned about AV detection. 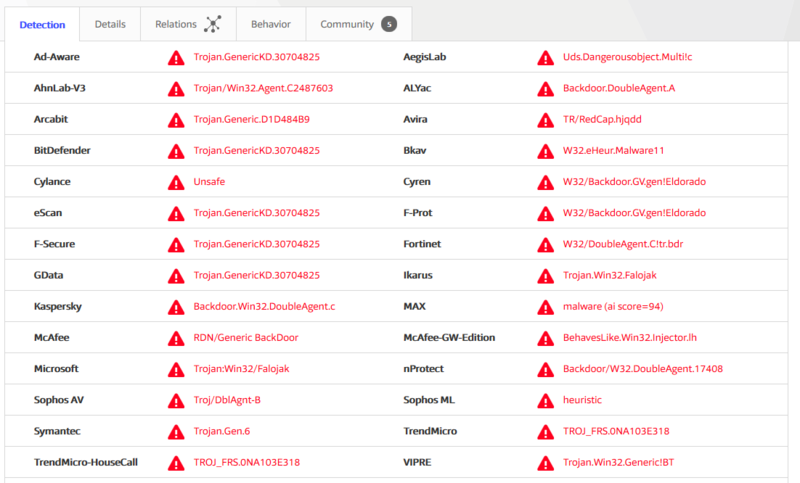 Looking on VirusTotal, some anti-virus vendors flag Lojack executables as ”unsafe”, but as noted as of May 3, many AV now flag the binaries as malware and DoubleAgent (Figure 2). Originally, the low AV detection, allowed the attacker to hide in plain sight, an effective double-agent. The attacker simply needs to stand up a rogue C2 server that simulates the Lojack communication protocols. Finally, Lojack’s “small agent” allows for memory reads and writes which grant it remote backdoor functionality when coupled with a rogue C2 server. ASERT has identified five Lojack agents (rpcnetp.exe) pointing to 4 different suspected domains. Fancy Bear has been tied to three of the domains in the past. Matching export function “rpcnetp” in the binaries. Only the presence of the rogue C2's make the samples in Table1 malicious. The attackers are merely hijacking the communication used by Lojack, thereby granting themselves backdoor access to machines running the software. All the listed domains are associated with the same Lojack agent utilizing the same compile time. The domains in question all contain nonsensical Registrant information where the actor tends to copy/paste the same information in multiple fields. Each domain includes a Registrant Name (often a nonsensical word), but additionally includes a similar word in the Registrant Organization field. Hijacking legitimate software is a common enough tactic for malicious actors. A key factor making this activity so devious is the malicious Lojack samples were simply labeled "unsafe”, "suspicious", or "DangerousObject", rather than malware. As a result, rogue Lojack samples could fly under the radar and give attackers a stealthy backdoor into victim systems. 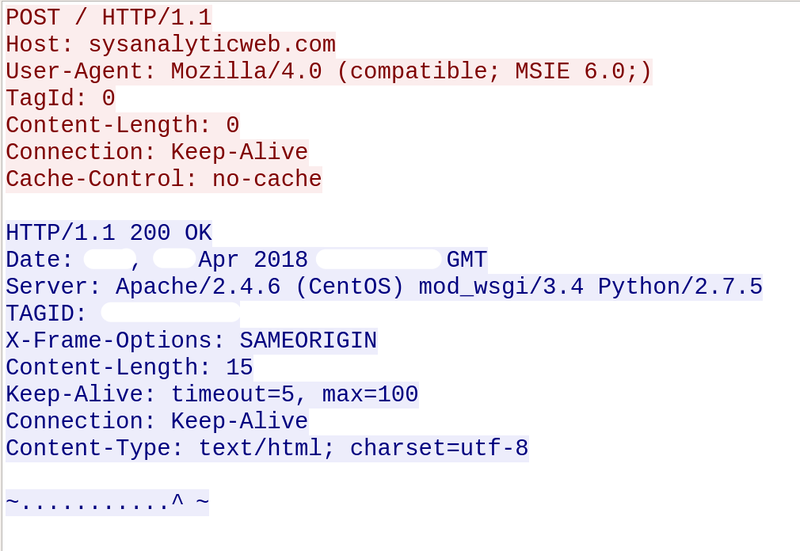 ASERT recommends scanning for rogue Lojack agents using the Yara signature listed in the Appendix (below) and blocking the domains contained within this blog. description = "Absolute Computrace Agent Executable"